The budget phone war emphasis has now been shifted to battery capacity in response to customers’ demand. We would review the top two budget phones, Gionee M2 mini vs Innjoo Halo. Launched alongside the Innjoo Fire Plus in September 2015, is the Innjoo Halo with a long-lasting battery capacity of 3,200mAh at a very cheap price. Gionee that has been getting the punches for over-priced phones responded with the Gionee M2 mini with a battery capacity of 3000mAh. 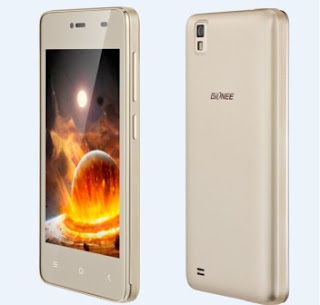 The mini is a strip down version of the popular Gionee M2 with same awesome battery performance. This review of the top budget phones will guide you in making your choice when buying, according the way you use your phone. The two phones obviously match each other on the screen resolution although Innjoo Halo has a bigger display of 5.0’ which would give the fat fingers something to smile. It is just perfect for watching movies, displaying pictures and browsing your favorite sites. Both comes with dual Micro sims slot as it is becoming standard now. Innjoo Halo comes with high performance 3,200mAh Li-Polymer battery. Gionee M2 mini is fitted with an equally high capacity 3,000mAh battery which promises durability of 30hrs talk time and 20 days standby time. If battery is top priority for you then these two devices will fire up your phone for a longer time at the right price. The crappy 0.3MP of Gionee M2 mini on the front camera is not really cool for selfies, but Innjoo Halo coast home on this with a fair 2.0MP front camaera. Both of them offer decent shots with a 5.0MP on the rear camaera. Gaming fans will have sacrifice something. Though the 1 GB RAM of both phones can definitely hold against any game thrown at it, a better offering of a 2 GB would have provided a smoother play for HD games . 8 GB ROM for your application and storage is is a fair offer but you may still need a memory card which can easily give you an expanded memory size of up to 64GB for storage. A Quad core processor is packed with these great devices which power the phone efficiently. And all these just for a good price. Gionee M2 mini comes in a variety of colors viz Black, White, grey, red and now Gold while Innjoo is offering just white black and gold. 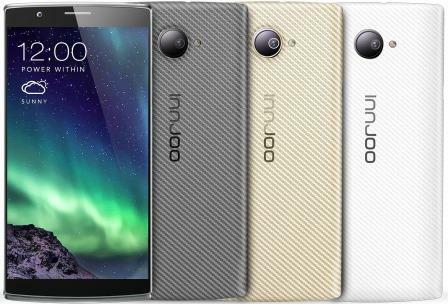 Innjoo Halo is much lighter with the favored Kelvar textured back which is proven to be tougher than steel. The two devices come with a microUSB, 3G, Bluetooth 4.0, Wi-Fi 802.11 a/b//g/n/ac with Hotspot and Wi-Fi Direct. They also feature A-GPS and GLONASS. Gionee M2 mini also has some extra features like a unique Amigo v3.0 UI, a sleek music player, a Control Center, Hotknot as well as an intuitive phone dialer. These two are really competitive. But Gionee M2 mini will be banking on the already made famed Gionee M2 and a good Customer support and repair/replacement center while Innjoo Halo has a more premium value in feel and look and packs great features at a competitive price, their customer care is also available though not as wide spread as Gionee’s. where can one buy the gionee m2 mini at that price cos in jumia they told me it's 27500.